At Lynchburg Family Dentistry, we treat people of all ages— from toddlers and teenagers to older adults. We are happy to see your child for routine cleanings and exams and are also able to provide most dental treatment your child may need. If your child needs any advanced forms of sedation, we can refer your child to an appropriate specialist. Routine cleanings and exams are an important part of keeping your child’s developing teeth and gums in excellent condition. Many children do well in a dental setting if they are introduced to the dental office at a young age. We encourage parents to bring their child in for a visit within six months of their first tooth coming in. This early visit helps the child get accustomed to our office and allows them to meet our staff and see what fun people we are! These routine visits are also an opportunity for your children to ask questions and for us to spot potential problems. 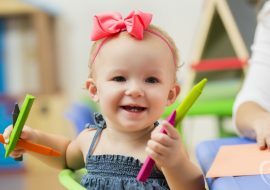 We are passionate about educating even our youngest patients about their oral health and how to care for their teeth and gums. We even have a plush stuffed animal with a set of teeth for your child to practice brushing! 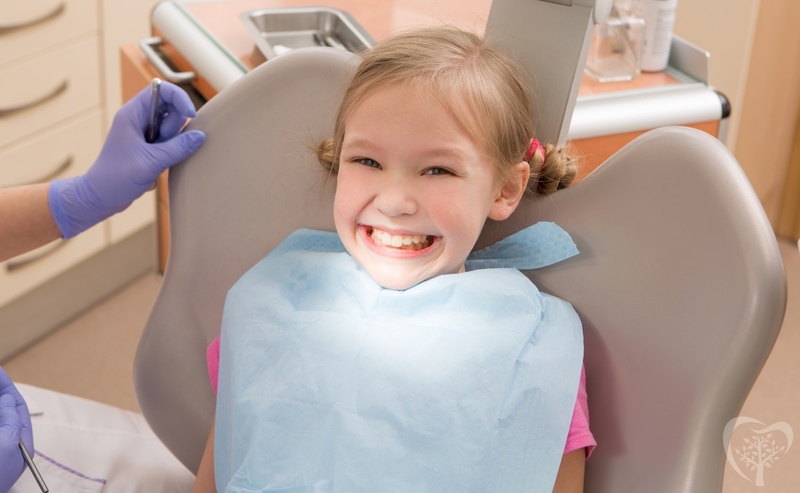 We utilize an assessment to see how at-risk your child is for getting cavities. This can help you modify your child’s nutrition and oral hygiene to help prevent cavities and maintain optimal oral health. 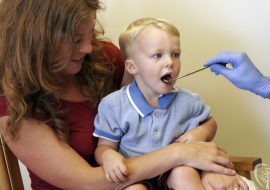 Read more about this in a blog post I wrote, Why You Should Bring Your Child to the Dentist Early. Extractions when teeth need to come out either due to cavities, pain, infection, or to make room for the permanent tooth. If you have any questions about the dental care that we offer to children here in Lynchburg, please get in touch with us.